The Wellness Center supports the academic success, physical health and mental well being of all students by providing the highest quality services in a timely and confidential manner. Counseling Services offers individual counseling, couples and group counseling, consultation, emergency intervention and programming. There is no charge for counseling and other services provided by the counseling staff. 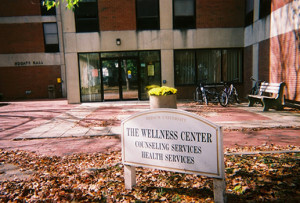 Counseling Services is located in the Wellness Center on the first floor of Hogate Hall at 800 South Locust Street. Counseling Services is open Monday through Friday from 9 a.m. – Noon and 1-5 p.m. To make an appointment to talk with a counselor, please contact (765) 658-4268.